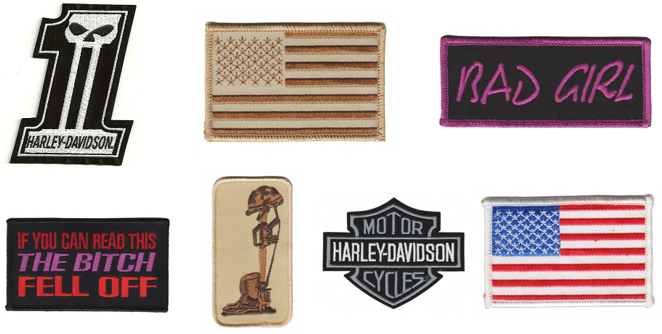 Harley-Davidson® has teamed up with MOD® to bring you an exclusive line of men's and women's biker jewelry. A full collection of official licensed Harley-Davidson® jewelry, rings, bracelets, necklaces and earrings in Sterling Silver and in their new line of Stainless Steel, along with Harley's® Ride Beads and the hot new Legends line. 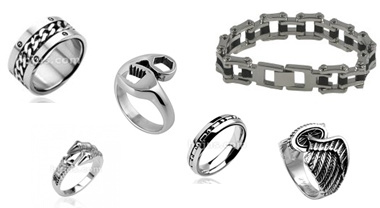 Stainless Steel jewelry is the hottest biker jewelry craze, bold enough for any biker. We carry the highest quality of Stainless, (316L) which is slightly similar to in appearance to silver. It is harder than silver and will not tarnish which is one good reason why it is increasingly used in jewelry. Check out our selection from the popular Wrench Ring, and Bike Chain Bracelets, along with Stainless Necklaces, Bracelets and a large selection of Spinner rings and lots of Skull Rings! Durability, cost, and selection that ensures Stainless Steel Jewelry is here to stay. The Original Ride Bells® are hand-crafted in the USA from Sterling Silver and 14k Gold. 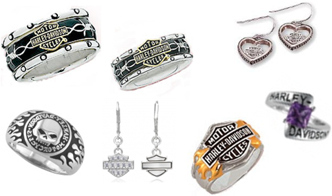 Biker Jewelry also carries the Harley-Davidson® line of Ride Bells® (which are not silver). Ride Bells have been around for many decades. They have many different names, Guardian Bell, Biker Bell, But only Biker Jewelry carries the real Ride Bell, hand made from Sterling Silver. Remind a friend that someone is looking out for them and wishing them a safe journey with a new Ride Bell®. All of the Harley-Davidson's® Ride Beads are hand crafted with the finest Sterling Silver. They will fit the Pandora's Bracelets, many women wear, the Pandora and the Harley® Ride Beads as a necklace charm. For a small dollar amount you can let her know that you were just thinking of her. They work great on tool boxes, motorcycles, trucks and cars or just about anywhere do to their great size. Actual Size: 1" x 3.5"